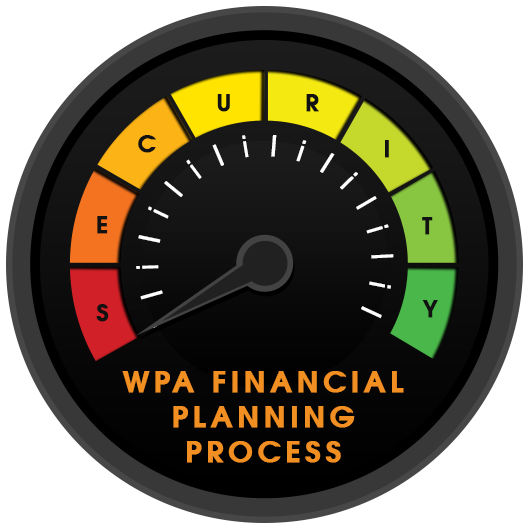 Please remember an advice process with WPA is a SECURITY process. Once we receive your consulting request by an email or a phone call, we will send you a “Fact Find” document. By assessing your current situation and goals, you may realise a gap or new challenges. Please send the document back to us at least a day before a meeting so we can prepare and utilise an hour meeting effectively. The meeting can be done over the phone, skype or in person. There is no cost to you for the initial meeting. An initial meeting is about 1 hour and it is your opportunity to ask questions to find out answers to your queries and assess if you would like to work with us. We will educate you on personal finance basics including superannuation, pension, investment basics and insurance. If you feel you need further assistance and personalised solutions, we will explain different services we offer and how our fee structure works. Once we have your agree to proceed, we will do some more research to understand you better. Upon your agreement, we will research current financials such as superannuation, insurance, investment and loans to confirm your current situation. If any issues come up, we will point out and communicate with you, so you can move forward with certainty. We will then agree on a scope of advice to determine what advices will be covered. We will propose recommended strategies to you and it is important that you understand strategies and their reasons before we start writing a big document for you. If you are not happy with proposed recommendations, you are welcome to suggest different approaches. We will provide an advice document called Statement of Advice (SoA) as a written confirmation of our recommendations. Once we get your authority, we will proceed to implement the plan. We will implement strategies based on the provided plan. Most of the cases, we will do necessary steps to complete the tasks on behalf of you. If you have any questions or concerns after your plan has completed please contact us. We like you to track your own progress to celebrate. Also please remember to contact us if your personal details (phone number, address and occupation) and family situations (marriage, children, home purchase and separation) change. It is important to review your progress at least once a year. Having a review meeting with your financial planner enables you to keep on track with achieving your goals and dreams. We do our best to provide a solid plan, however changes in your circumstance require update of the plan to meet your new objectives. Please feel free to contact us and we will have a review meeting over the phone, email or in person whatever the most convenient for you.